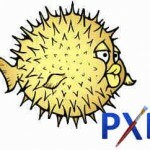 DEFAULT vesamenu.c32 — We are informing PXELINUX to load this file. We could substitute a menu entry instead, or boot a kernel and initrd. ONTIMEOUT — Indicates what action is performed when the TIMEOUT expires. In the above example, we are loading the menu itemBootLocal. If after 5 minutes the user does not choose a menu item, the system will attempt to boot to a local hard disk. MENU INCLUDE pxelinux.cfg/pxe.conf — Load additional configuration options from another file. The can be included in the same file, however, I find it a neater look to the menu configuration to place some options in other files. NOESCAPE 1 — Do not allow the user to escape out of the menu system.